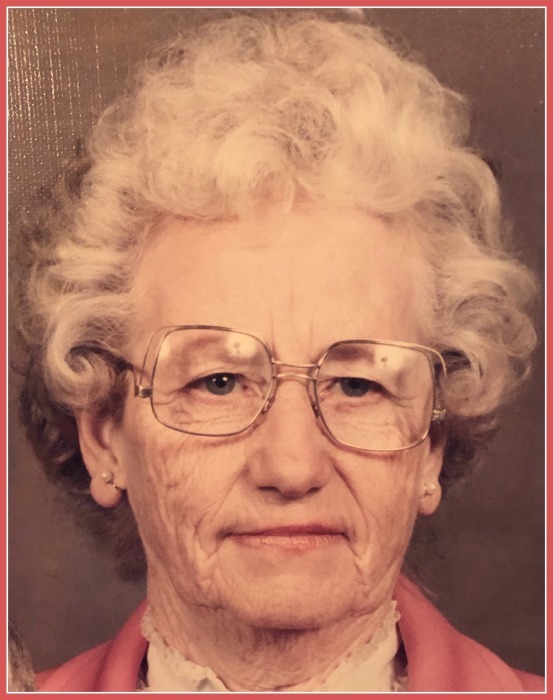 Obituary for Alice L. (Leland) Cooper | Minnis Chapel, Inc.
Alice L. (Leland) Cooper, age 96 passed away Feb. 5, 2019 at Kenwood Plaza, St. John, KS. She was born on Aug. 13, 1922 at Cummings, KS, the daughter of Walter and Daisy (Jarrott) Leland. Alice was a life-long resident of St. John, KS where she was a homemaker and former Stafford County Extension Agent. She graduated from Manhattan High School and received her Bachelor’s Degree in Home Economics from Kansas State University. On June 4, 1950 she married Carleton Cooper at Manhattan, KS, he preceded her in death in 2007. Her memberships include, Eden Valley Church of the Brethren, Kennilworth Extension Homemakers Unit, Hesperian Club, Eden Valley 4-H Club Leader. Survivors include 3 sons, Norman Cooper, St. John, KS, Dean Cooper (Susan), Platte Woods, MO, Dr. James Cooper, Salina, KS; a daughter, Karen Gogolski (Tim), Osage City, KS; 5 grandchildren and 5 great grandchildren. She was preceded in death by her husband Carleton, two brothers, Walter and Ed Leland and two sisters, Dorothea Huff and Hope Holmes. Funeral service will be 10:00 AM, Friday, Feb. 8, 2019 at Minnis Chapel, St. John, with Pastor Parsram Venkatsammy presiding. Burial will follow in the Fairview Park Cemetery, St. John, KS. Visitation will be on Thursday, Feb. 7, 2019 from 4-7PM at the funeral home. Memorials may be given to the Stafford County 4-H Clubs or Eden Valley Church of the Brethren in care of Minnis Chapel, P.O. Box 34, St. John, KS 67576.